"If there were nothing else but nature... still I would enjoy this world." 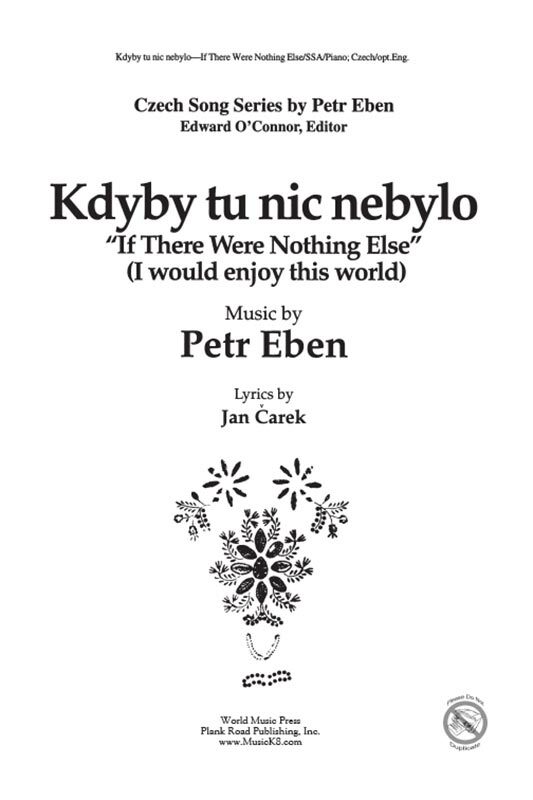 By Czech composer Petr Eben, this is available in Czech or English with amazing goose-bump producing harmonies and heartfelt sentiments that are beautifully expressed. SSA/Piano.